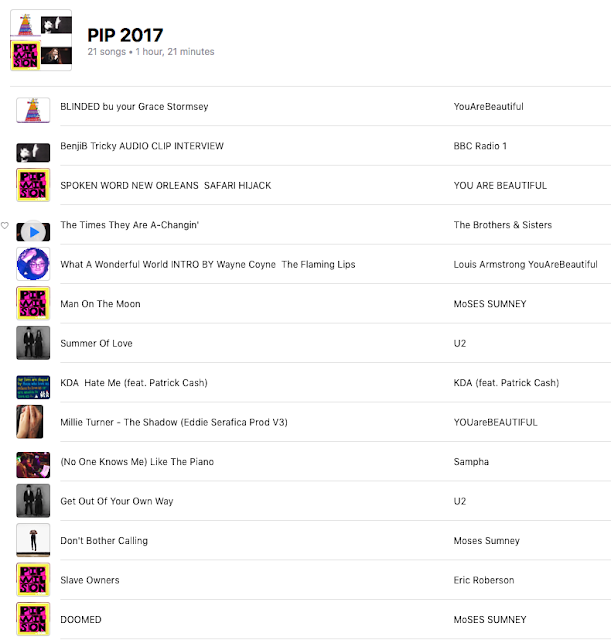 ........ then it was updated to CD's mailed out around the world - NOW I don't do that but here is the list from my PLAYLIST on my Mac + iPhone - growing throughout the year - now come to an end with 2017. Some are a track from an album but I don't buy much music now-a-days. 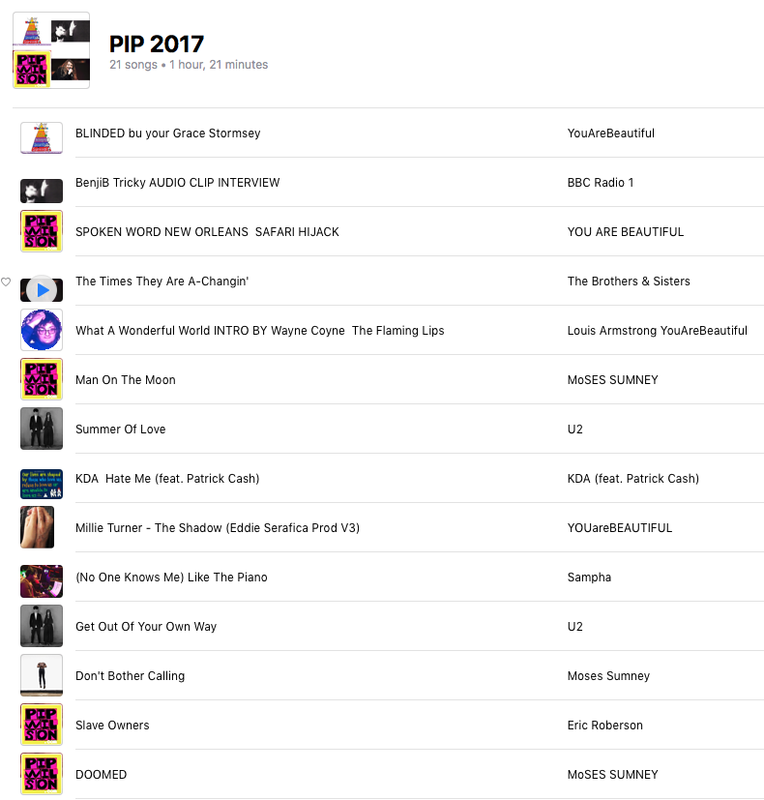 I capture radio programmes - listen often to them, about 50 hours each week, then I delete or sometimes save one track for my year collection. So you get the meaning of a song from the artiste or fan. There are two songs on here my Louis Armstrong for instance about his song 'What a wonderful world' but with different intros by different humans .............. truly magic music. By artistes but because I am touched by the music - it is all me.